Over the weekend, 888 Holdings surprised many in the industry by announcing the resignation of its Chief Executive Officer, Gigi Levy. Levy will continue to assist the company over the next six months. According to the statement, he will spend 50% of his time assisting with the search for his replacement. Additionally, he will remain on the Board of Directors for 888 Holdings even though he has stepped down from his position as CEO. Another interesting angle investigated by the Telegraph is why Levy will stay on the Board of Directors at 888 Holdings after his replacement is hired. According to Osborne’s article, if Levy had been released from the Board, one of the companies under 888’s ownership, Wink Bingo, could have triggered a clause in its contract for an immediate buyout totaling £59.7 million. 888 Holdings has organized a nomination committee to search for its next CEO and will use an executive search firm to help guide the committee. For the immediate future, 888 Holdings has named Senior Independent Director Brian Mattingley as its interim leader. According to the 888 Holdings’ statement, Mattingley will “work closely with management on all aspects of the business” while a new CEO is found. Levy joined 888 Holdings in 2006 and, one year later, stepped into the position of CEO. During his tenure, 888 Holdings had to absorb losses due to the enactment of the UIGEA in 2006 and the worldwide financial collapse of 2008. 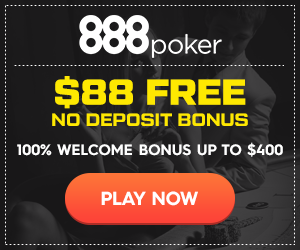 Most recently, 888 Holdings was able to negotiate a deal with Caesars Entertainment, the owners of the World Series of Poker, for operation of a branded poker room that is available to players outside of the United States, among other potential partnerships. Through the trying times of his tenure, however, Levy was able to keep 888 Holdings as one of the premier online poker rooms and casinos in the industry. According to the most recent statistics from PokerScout.com, 888 is currently the 11th largest online poker room in the industry.